If you are a man, or know one, that likes the jingle of a full pocket of change but forgets to take it out when you get home, then this Man Coinage Tray from The Bright Side is the ideal solution for keeping your money organised! 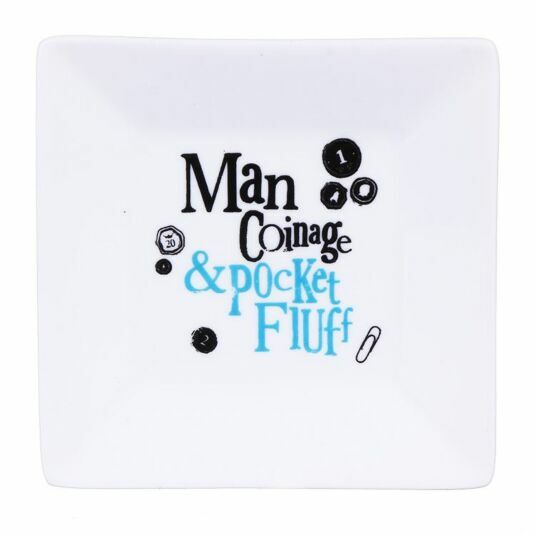 This coin tray comes smartly presented in a The Bright Side gift box in white and blue, again printed with the trays phrases and black illustrations, making it perfect for gifting to any man you know be them a partner, father, brother or friend! 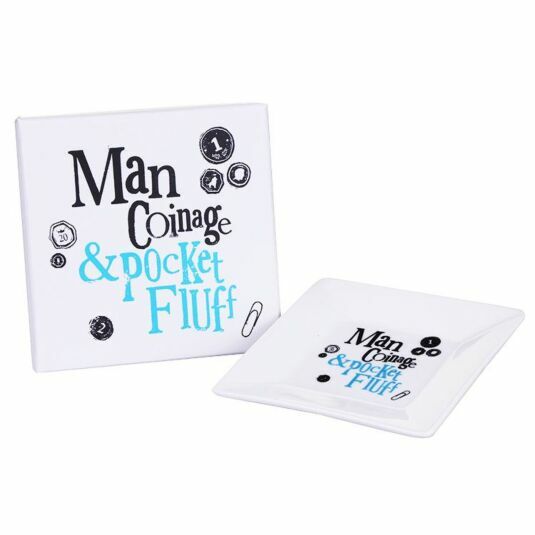 Give the gift of organisation with this The Bright Side Man Coinage & Pocket Fluff Boxed Tray, great for keeping track of that loose change for the car park, the odd packet of sweets or even for the sweet sound of money jingling! Perfect for birthdays and Christmas stocking fillers.